I wish you a Happy February! Having been born and raised in Ontario I am always delighted by the pleasant weather of the West coast. No more so than in February; when the rest of the country is gritting their teeth and girding themselves against a cold and dreary month, in beautiful British Columbia, we are awakening to green grass, flowering crocuses and a general Spring-like set of conditions. It is for that reason that I have dubbed February the “Spring Teaser”. It’s a wonderful month full of promise. Subsequent months may bring rain, snow or overcast skies, but the Spring Teaser gives us the inspiration to push through to the season of CAVOK. Fitting, I think, that we have Family Day in February – a time when we can picnic or barbecue and dream up plans for the upcoming Summer. This month our faithful Safety team will be hosting some events to get us ready. Dustin will be holding a safety Hangar Talk and Warren LeGrice will be putting on a refresher training course – be sure to check out the calendar and reserve a space! Our presentation for the month of February will be Warren taking a look at the Dryden accident and how that was a turning point for the CARS. Speaking of safety – it’s the little things that can get you the worst. Slips, trips and falls may not give you cause for concern, but the consequences of a bad slip or a fall can take you out of the cockpit for a while. Please exercise caution in icy, slippery conditions. February may be the Spring Teaser, but her icy mornings can be hazardous. Lastly, in the positive spirit of the Spring Teaser, I’d like to share a story with you from one of our members. His story epitomizes the far reaching effects that small acts of kindness can have. He is currently a commercial pilot, with his own aircraft and no real need to belong to the club. But he did join, and for reasons that had to do with his past flying club experience. Twenty years ago he was a new pilot. He found himself invited to join his local flying club. He didn’t have a lot of flying (or life) experience at the time, but he was nevertheless treated with respect and dignity. The club members swapped stories with him, encouraged him to fly their aircraft and never once judged him for the brashness of his youth, the loftiness of his dreams or his lack of experience. He enjoyed a happy, but brief spell at the club before his career took him away from home. He built up a career, a family and a good life for himself in our province. He went on to recount that he kept thinking back to his old flying club, the gentle and knowledgeable members and the warm welcome he received there. He wasn’t in a position where he needed to be part of a club – but he found that he craved the camaraderie of his past club in the old days. So he joined the Abbotsford Flying Club where he is a member who enriches our club with his knowledge, experience and positive attitude. There are several lessons we can take from this story. Firstly: welcoming acts of inclusion and encouragement of new and/or young members will create an impression that lasts a lifetime. Secondly, the benefits of having a healthy, friendly flying club go beyond the club itself – these benefits can span the entire country! Thirdly, General Aviation is about people: we need not make giant, sweeping gestures to ensure that GA stays alive. 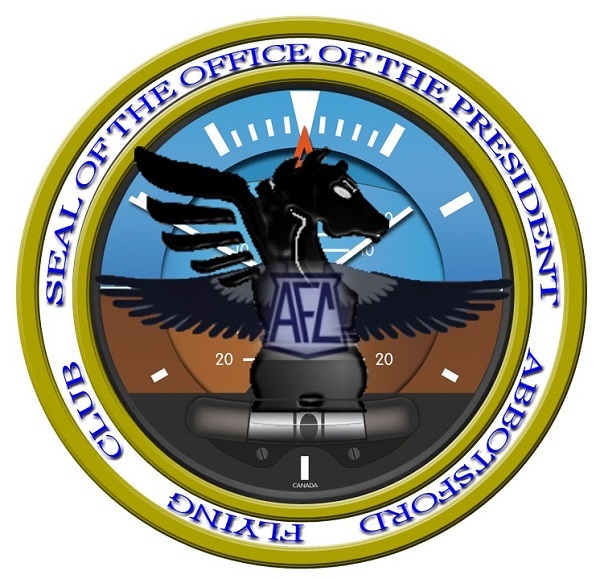 All that is needed is a welcoming heart, a spirit of understanding and a willingness to share our club to sustain General Aviation well into the future. This entry was posted in Blog, Newsletter, President's Column on 2019-02-06 by Secretary.